We're committed to a responsible production process that looks after the environment and the people who make our organic cotton t-shirts. Our t-shirts are GOTS certified. This ensures independent verification that we have met strict quality, environment and social standards. Safe working conditions, no child labour, working hours and wage protection are a few of the key criteria, from the International Labour Organisation, that are monitored throughout our supply chain. Starting life in the cotton fields of Turkey, this is the journey that makes your quality t-shirt so special. 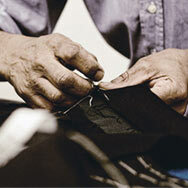 Our exclusive cotton is grown, hand picked, ginned, spun and knitted into fabric by Sanko. Our cotton is GOTS [Global Organic Textile Standard] certified which requires strict environmental and social responsibility from seed to delivery www.global-standard.org. 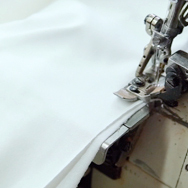 When the fabric reaches Ukraine, it is transported to Novotex's Green Cotton factory to be cut and stitched. 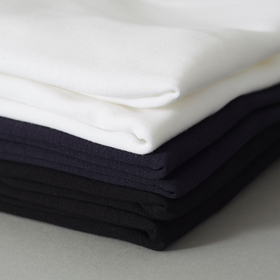 Green Cotton ensures that your t-shirt has been manufactured to the strictest environmentally friendly, pollutant free standards. The company operates to ISO 9001 (quality management) and ISO 14001 (environmental management) standards and is GOTS, Oeko-Tex 100 and EU eco label approved. 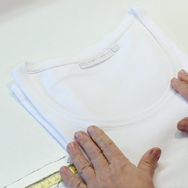 Once our t-shirts have been constructed in Ukraine they are shipped to Denmark along with Novotex's own products, to be given the Green Cotton final seal of approval. They are warehoused in their central facility ready for shipping to the UK. This way we reduce transportation costs and achieve economy of scale. After reaching the UK our t-shirts are stored and made ready to be carefully wrapped and posted to you by The White T-shirt Co team. We use local support and all our packaging is from our local FSC licensed supplier BLP who are ISO 14001 and ISO 9001 approved for the environmental practices.